UPDATE: This section was developed in Summer 2018 through November 2018 to provide facts and information regarding the November 6, 2018, ballot issue. It is with great pleasure that I share with you that Tuesday, voters approved Issue 6 on the November 6 ballot. This issue is a combined 1-mill of operating and an additional 5.84-mills of bonds. Operating funds from this issue will be used to cover the day-to-day expenses such as teachers, utilities, and supplies. The bonds will generate $55.25 million to fund safety and security upgrades to all school buildings, build a new fourth through eighth grade school, and comprehensively renovate Grandview Heights High School. On behalf of the entire Grandview Heights Schools, I want to say thank you to the voters for their support. Because of you, we are now able to focus on providing modern learning spaces for students instead of how to keep up with antiquated system repairs. I must also thank the many volunteers who worked so tirelessly to get accurate information out and into the community. You gave a great deal of your time and effort to the students and staff in our schools and we greatly appreciate your endeavors. We look forward to welcoming students and beginning the planning process for our new and renovated schools. Thank you! It is important to make sure your voice is heard in every election. Be sure to update or complete your voter registration process. This is especially important if you have moved or changed your name. 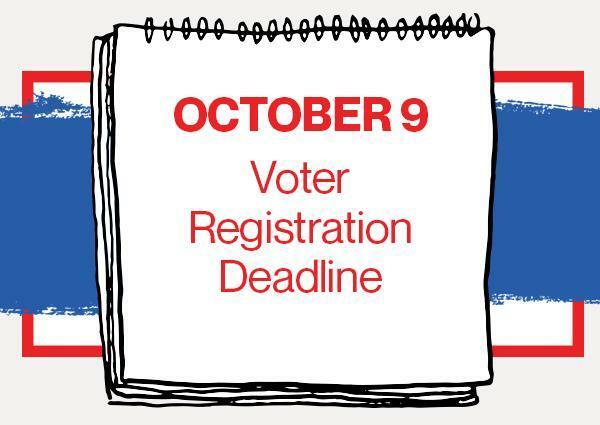 You can complete or update your voter registration process online at https://olvr.sos.state.oh.us/ Be sure to complete this important step today as the deadline to register for the November election is October 9!